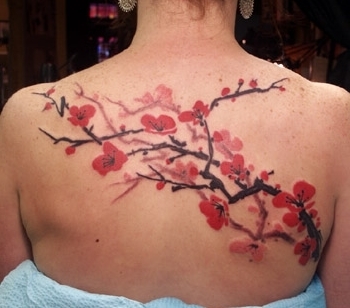 Tattoos are now an integral part of fashion. With the number of mind-boggling designs available today, tattoo lovers can find any kind of symbol that best represents their inner self. From flowery designs to something rugged, you name it and you shall have it! 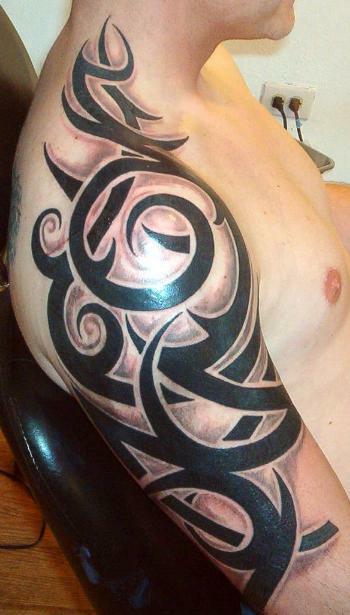 Celtic design tattoos are amongst the most popular and recognizable of all designs. Celtic designs have a wide range of symbols, which have a meaning associated with it. 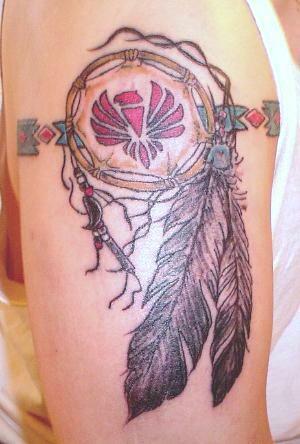 These kind of tribal tattoos have always been in great demand amongst tattoo lovers. 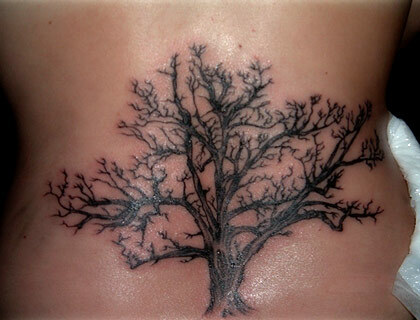 With the growing interest in various tattoo designs, it is no wonder Celtic tattoos are very much in vogue. 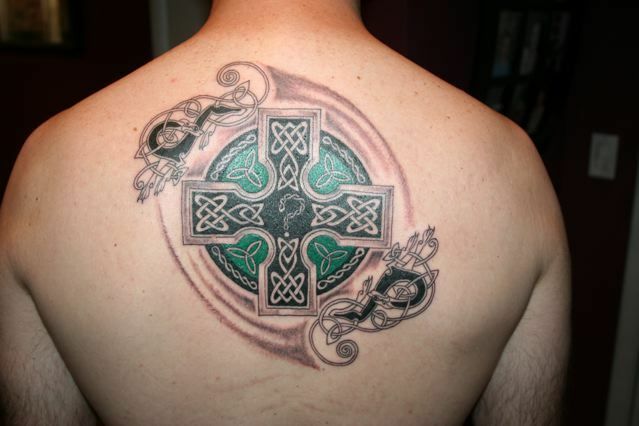 Let’s take a quick look at some interesting details related to Celtic design tattoos. 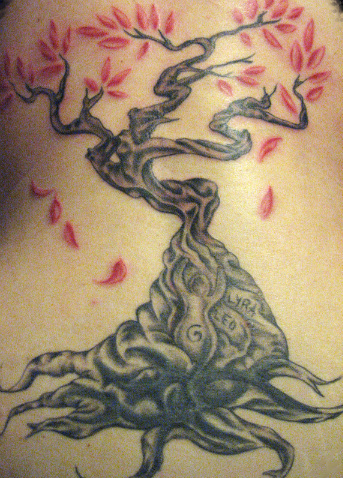 These tattoos have history and symbolism associated with it. 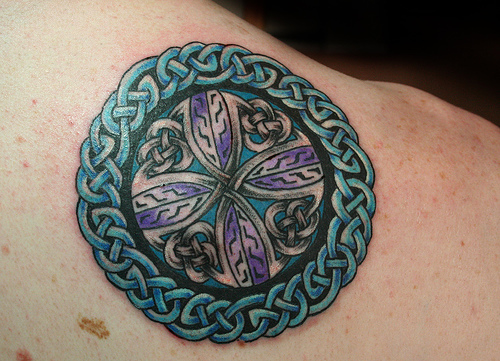 Celtic tattoos are easily identifiable because of the kind of colors that can be used as well as the design. 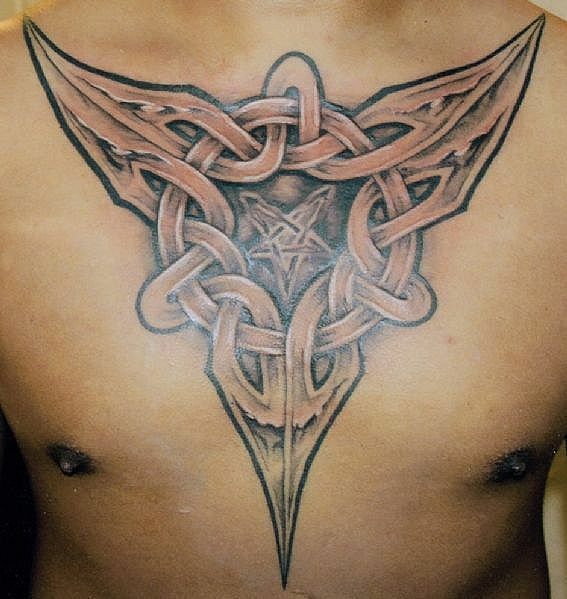 Celtic tattoos basically involve certain kind of complex patterns, which are highly stylized. The Celtics are known for their rich culture and heritage and this is also probably one of the reasons one can see a wide number of designs and symbols out here. 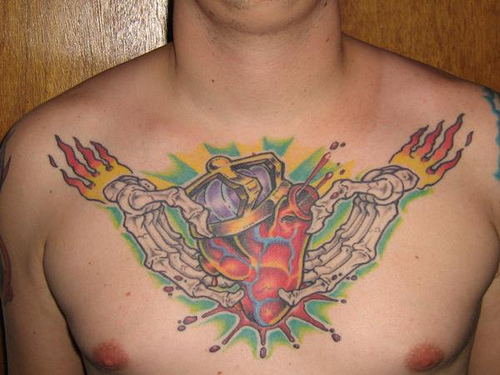 Their strong beliefs attached to the tattoos increase their popularity as well. 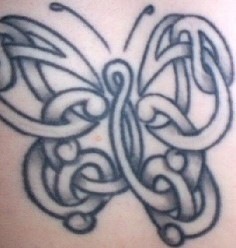 Celtic design tattoos have a reason behind the symbolism associated with it. The Celts in the olden days did not a particular language to communicate via the written word. Therefore, they tried to express themselves through symbolism. Designs that incorporated symbols from nature were thus quite popular as this communicated their love for nature. 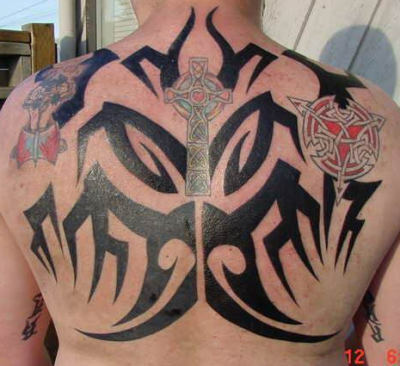 Therefore, Celtic design tattoos are almost on the same lines as tribal tattoos that have a unique feel about them. They emote a lot without really being direct in the way the design is devised. These ancient tattoos designs are distinguishable because of the knot work and the spiral patterns. Geometric forms, overlapping of knots, key work and many such intricate patterns form the base of Celtic patterns. The Celtic cross is one of the most popular of all designs. This Celtic cross is like the Christian cross; the only difference being there is a circle around the intersection. There is also a lot of intricate knot work that is seen over the cross. Many have tried to interpret the meaning of the design of the Celtic cross. For the Christians, it is a symbol of God’s love where as, for the neo pagans, it represents the sun. 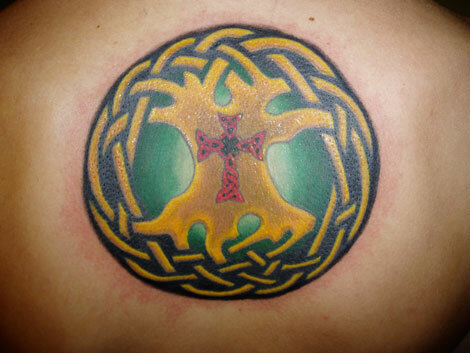 Celtic knots are yet another popular design which is in demand with tattoo lovers. 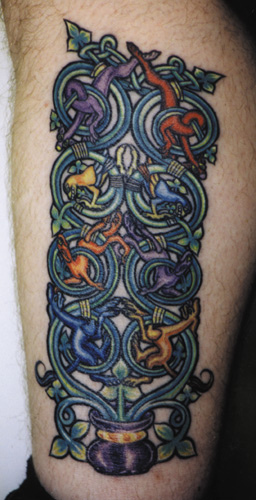 Celtic knots consist of endless loop work that intertwines all through the design. It is really difficult to figure out the pattern at times. The complexity of the design is what makes it even more popular! 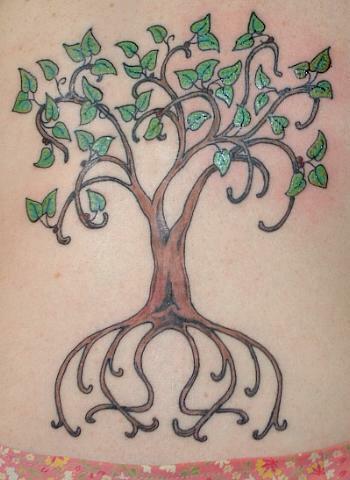 The symbolism behind this Celtic tattoo is probably because the Celts considered this to be a representation of constant life. 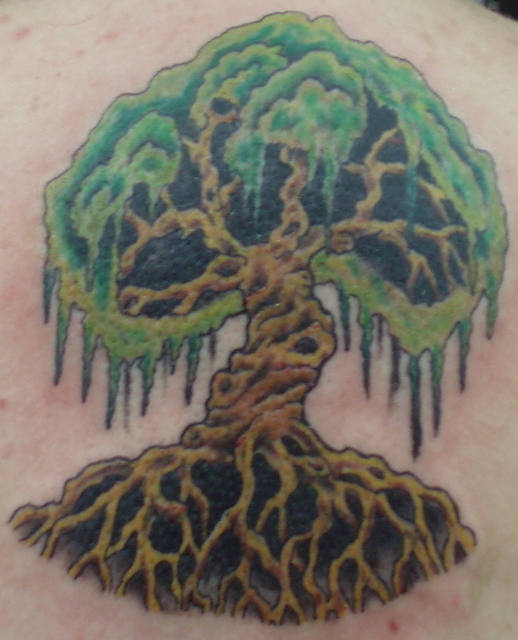 Always remember to go to a skilled tattoo artist if you are planning for a Celtic design tattoo. The intricacy of the design would need the skills of a true artist to get the accurate result. Tattoos form a permanent part of your body, so you need to think before you opt for the pattern least you change your mind! 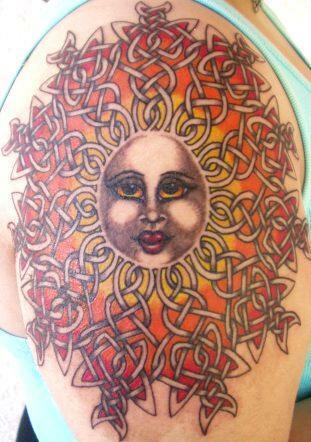 So go ahead and join the group of Celtic design tattoo lovers!